I will be taking a small vacation from the blog through Labor Day Weekend, but rest assured that I will be back with lots of great stuff. 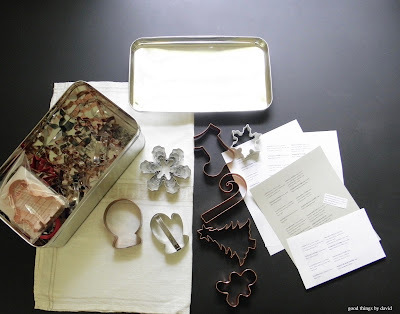 I'm currently working on reorganizing my cookie cutter collection (above), giving my treasures a much-needed space of their own. Stay tuned for that post. Many of us are looking forward to the end of the season. This is the time of year when kids are back from summer camp, the school year is about to begin for many, and when us bakers begin planning for the fall and winter baking seasons. I'm already anticipating making cakes, breads and cookies spiced with cinnamon, cardamom, ginger and clove, because I know that my house is going to have that wonderful medley of scents. 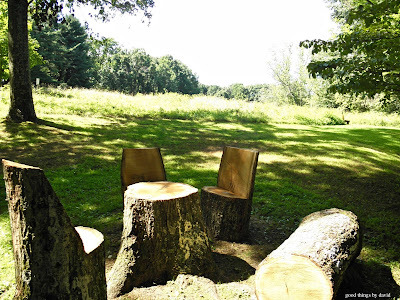 However, it is still summertime and we should take advantage of the long days, the warm sunshine and the fleeting beauty of what mother nature has to offer. Walking around the patio of the barn the other day, I was so happy to see the flowering joe pye weed buzzing with activity. Such healthy, busy bees were jumping from flower to flower gathering as much pollen as possible to take back to their hives. 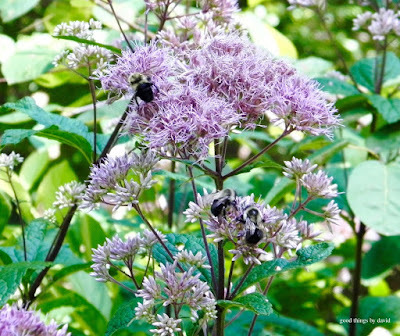 These tight clusters of flowers seem so delicate and dainty, but rest assured, they can handle bees, butterflies and other insects crawling all over them. 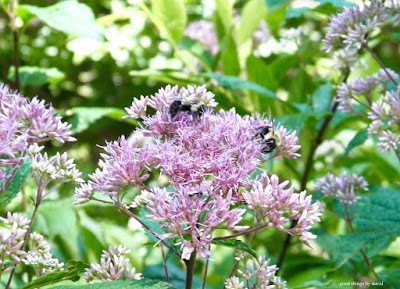 Really and truly, I could have stayed in this area for hours just watching the industrious bees working away. Note: you may want to lower the volume on your device because the combination of crickets and cicadas in the background is rather loud. The short video (above) shows you exactly what I'm talking about. Don't worry, I didn't disturb the little wonders of nature. Besides, I think they were much too busy to care that I was even near them. 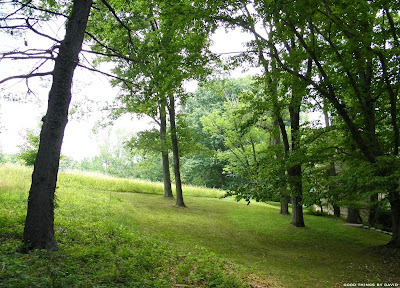 As I made my way up the hill toward the meadow, I began to reflect on how much things have changed for me this year. 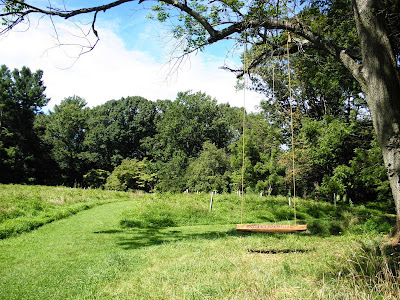 Yes, I've become busier at work, which unfortunately takes me away from the blog more often than not, however, I am much happier than ever, because I feel as if there is more harmony in my home and in my life. 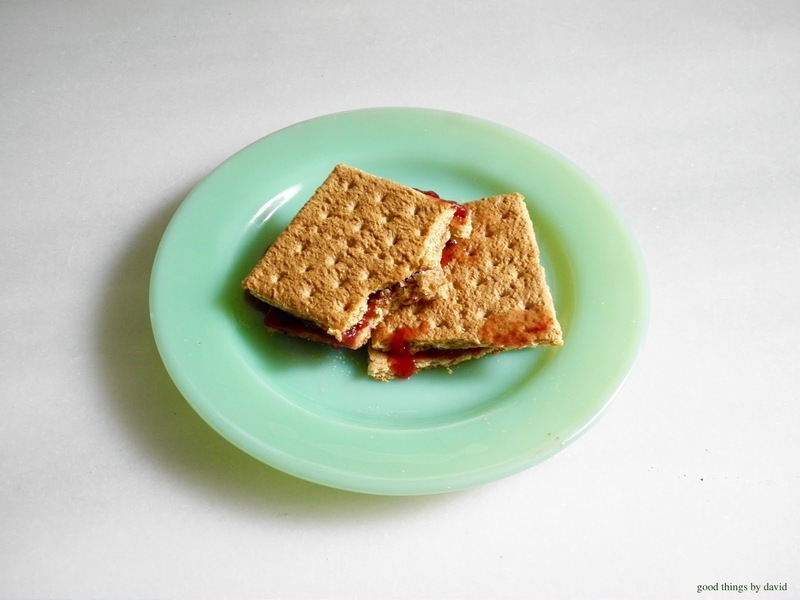 On a side note, did you ever have graham cracker sandwiches at home when you were a kid? I remember going to grandma's house on weekends for visits with my older brother and my parents, and grandma giving us kids a small plate of jelly-filled graham crackers as a snack. It's funny that something so simple and so humble was elevated to something very special because it was served to us by grandma. Don't tell anyone, but lately I've been having these with my tea in the afternoons after I come back from my walks! 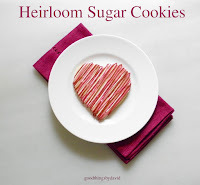 They are just as tasty today as they were when I was a kid sitting in grandma's kitchen enjoying some of these. 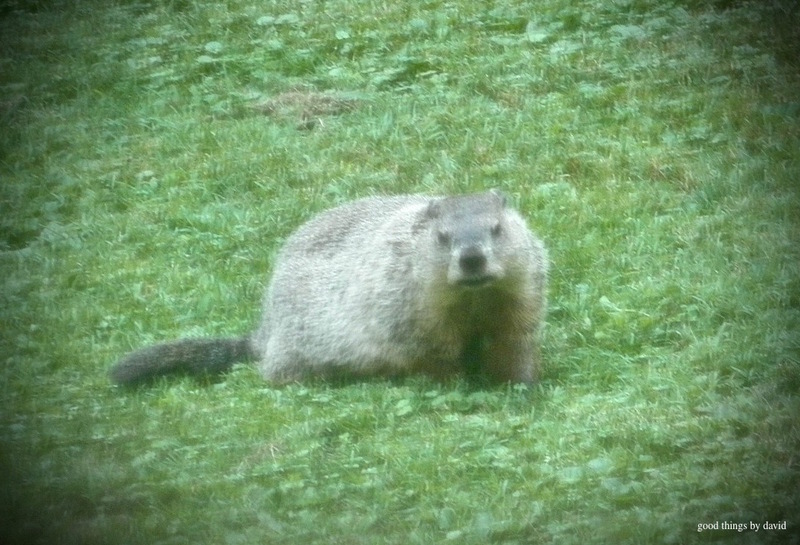 Henrietta, our resident groundhog, is eating like there is no tomorrow. It's around this time that these creatures become quite voracious in their consumption of greens, because hibernation is right around the corner. Groundhogs must pack on the pounds in order to sustain them through the months underground. It's OK though, there is no shortage of greens for her to eat around our home. In the coming weeks we expect to see her gathering large clusters of leaves to take down into her den. I'm not sure what they do with such copious amounts of leaves, but we like to think that they're making their beds comfortable for their long slumber. 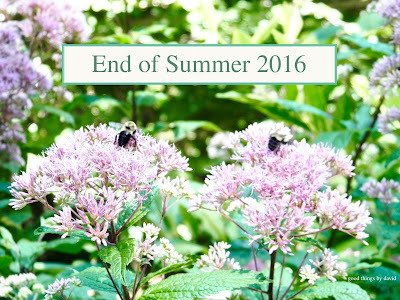 Yes, summer is coming to a close. Pretty soon, this wooden swing hanging from the giant chestnut tree won't be so comfortable to use here on the meadow because the days will be quite nippy. One thing is for sure though. As soon as mid August rolls around, I begin to feel the need to see the change of summer to fall. That's one of the nice things about living in an area of the country where you get to experience all four seasons. 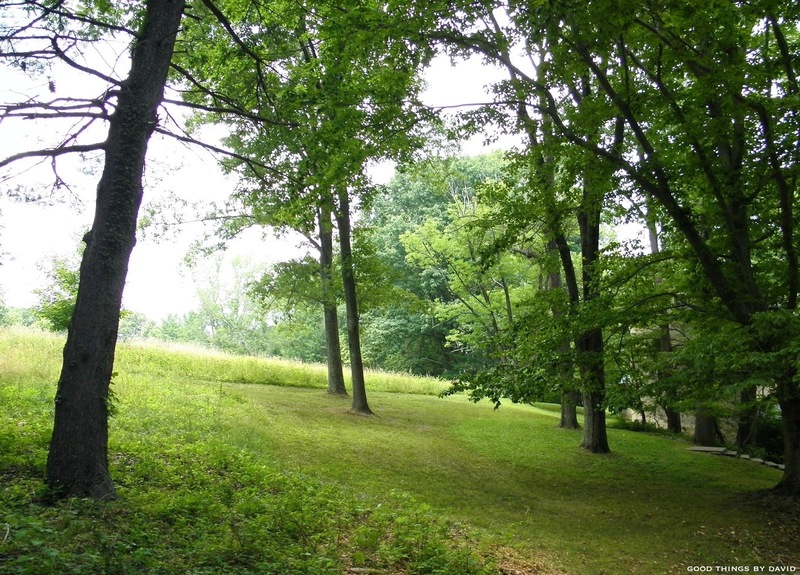 The transition of summer into fall is the most spectacular time of year for me, because I am fortunate to observe such magnificent colors and textures in the landscape, which in turn, makes me want to use those same seasonal shades throughout my home. 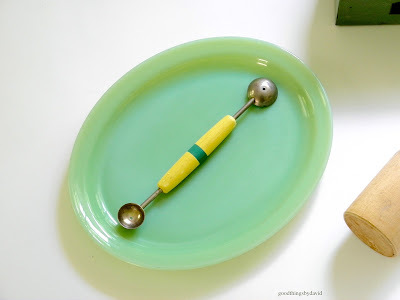 The yellowware gets used more often in the kitchen, the warm, yellow-hued bakelite flatware with hints of butterscotch is taken out of the silverware drawers on a weekly basis, and certain cookie cutters are placed near the dough counter so that I have them at the ready. I'm ready for the seasons ahead. 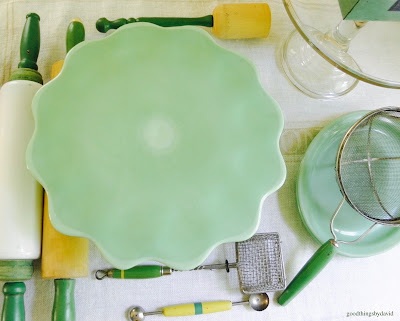 I can't wait to roll up my sleeves and get in the kitchen to cook and bake with great seasonal fruits and vegetables. 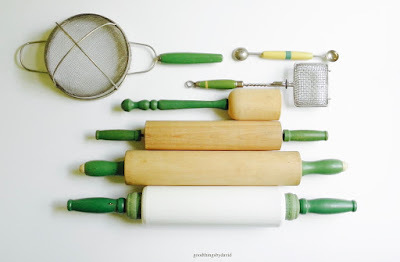 I'm absolutely certain that I will reach for one of those antique rolling pins I recently purchased out in California, and measure ingredients into one of my great, big mixing bowls that I love having near me in the kitchen. Are you ready for the end of summer? 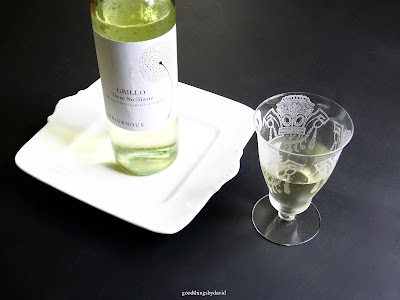 Are you looking for an end of summer white wine that will go with the season's best? Turn to a cool white wine from Italy made from the indigenous Sicilian grillo grape for an undoubtedly fruity experience. If you've never had the pleasure of tasting a chilled grillo, I recommend looking for some the next time you're shopping for wine. 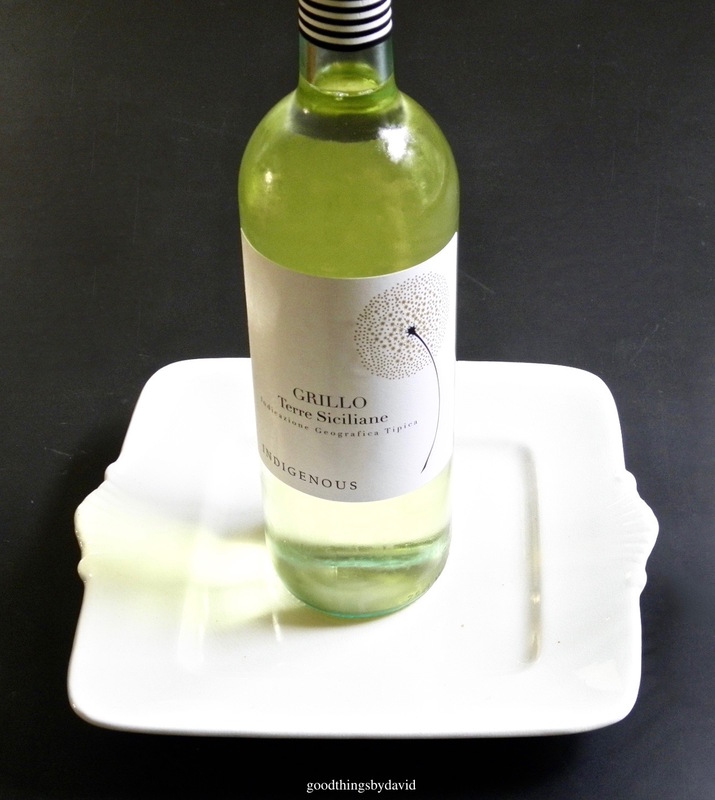 This full-bodied wine is pale yellow in color, with notes of bright, refreshing citrus and tart apple. Gavi wines are great, pinot grigios are reliable, but this Terre Siciliane is a great alternative. Enjoy this wine with chicken piccata, grilled lemon chicken, pastas with cream sauces, or even as an accompaniment to a cheese tasting. It's great as an aperitif with honeyed nuts, artisanal crackers and a variety of spreads. Serve well-chilled in clear glasses. 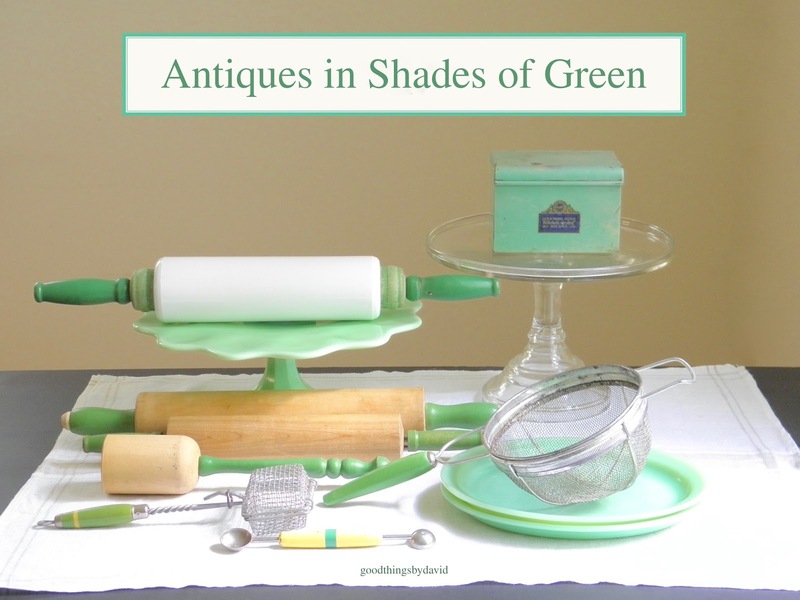 Depression-era kitchen utensils with colored handles in shades of green, were prevalent in American kitchens during the 1930s. Not only were these instruments meant to be utilitarian in their everyday function, but they were fashioned to harmonize with kitchen tables, cabinets, countertops and tilework of that period. 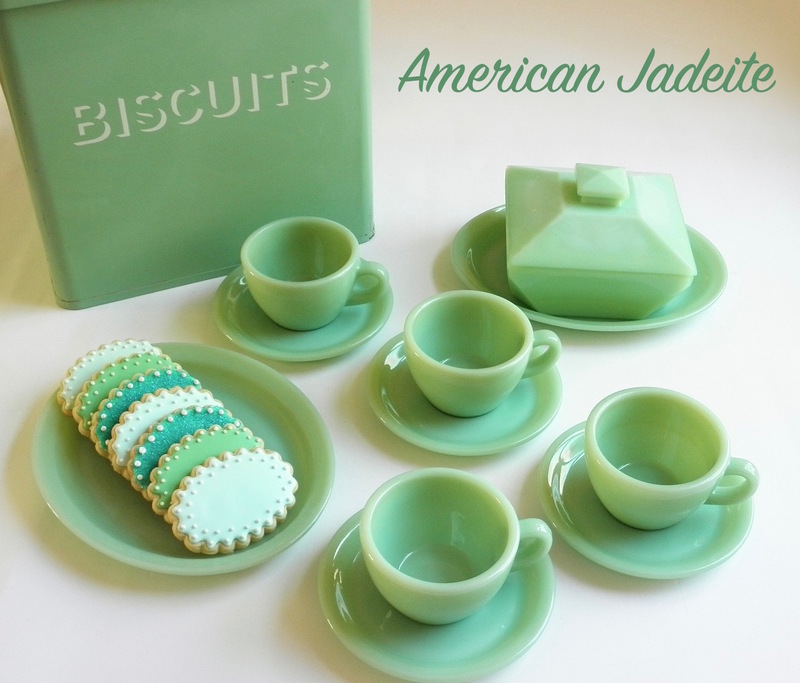 Many of us collectors like the fact that so many of these kitchen tools blend exceptionally well with jadeite from subsequent decades. 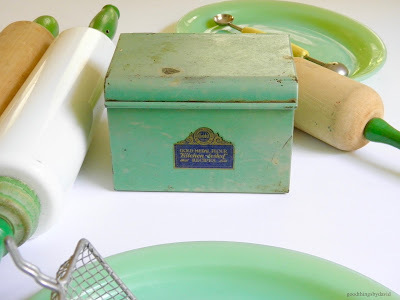 Integrating them into present-day homes is not only a great way to enhance the character of one's kitchen, but it's also a nice way to keep them from becoming obsolete relics of a bygone era. I had the good fortune of coming across several examples of kitchen utensils, glassware and tin from this era, while antiquing in Long Beach, California a few weeks ago. It happened by pure chance and luck that these items caught my attention, and I couldn't be happier having them in my colonial kitchen here in Pennsylvania. That beautiful metal strainer with its green wooden handle (top, middle) is in such great condition for being almost ninety years old. 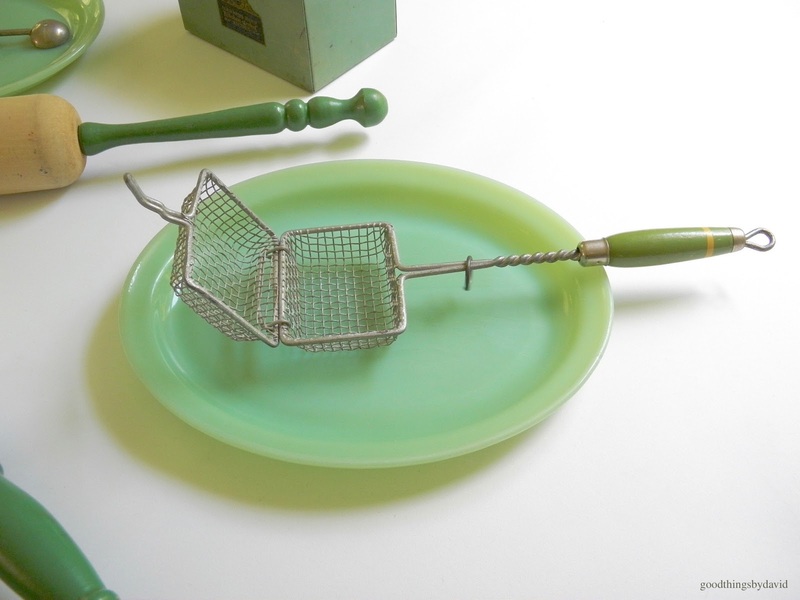 It comes with a hooked arm that's soldered onto the rim, which is meant to rest over a mixing bowl. The fact that its mesh is not too fine makes it suitable for straining sugar of hard lumps or for rinsing vegetables under cold water. This yellow wooden-handled melon baller has a green stripe across its center. It too is in excellent condition. Decades later, these haven't changed much in form. 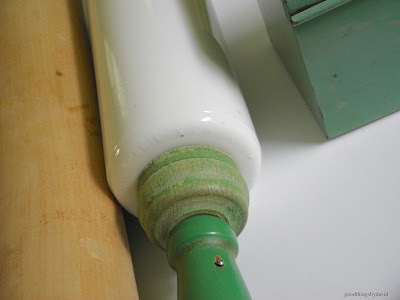 Whether you call this particular utensil a masher, muddler or mallet, I'm surprised that its paint has held up this long. Its turned handle is gorgeous! Do you know what this kitchen tool is meant to be? A friend of mine from Massachusetts knew immediately what it was when I showed it to him. 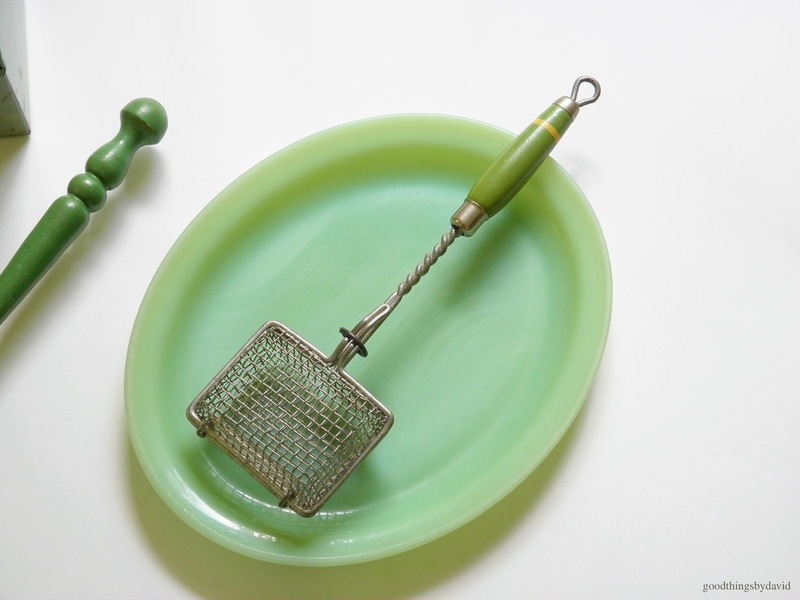 The wire mesh basket with clasp and wire ring to hold it shut, was used as a soap saver way back when. During the Depression, every last scrap of bar soap was saved up and put into one of these instruments, because one could always immerse it in hot water or run it under the tap for washing up. A very handy tool indeed. 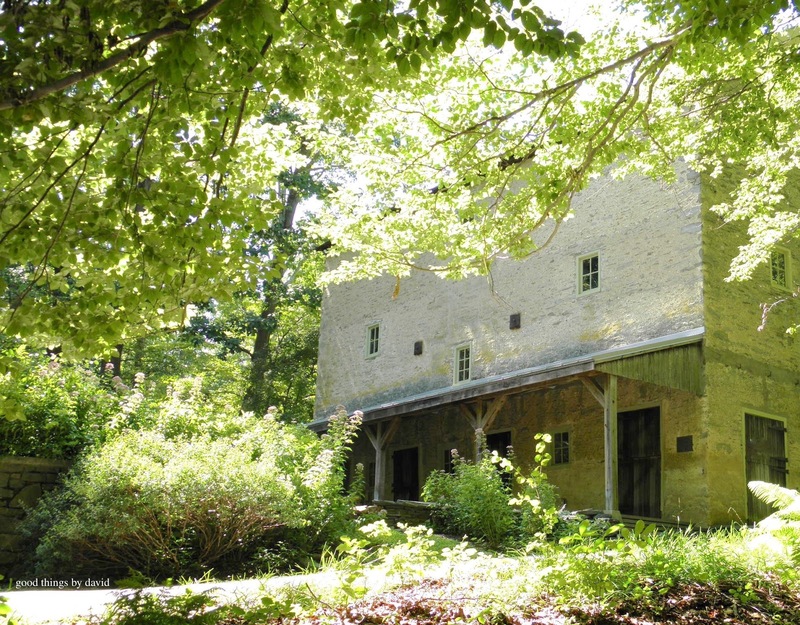 I love that it is in such great condition, without any rusting whatsoever. This little metal box was the first thing I purchased while at the Long Beach Antique Market. A Depression-era recipe box in a beautiful shade of green enamel, with its well-preserved label, was made for the Washburn Crosby Co.'s Gold Medal Flour. Named after its founders, Cadwallader C. Washburn and John Crosby, the company is now known as General Mills. My only wish is that the original recipe cards had been kept intact with the box. Gold Medal Flour was first produced under that moniker back in 1880, and this 1930s box marketed with its proven & tested recipes would have been used by households across America. 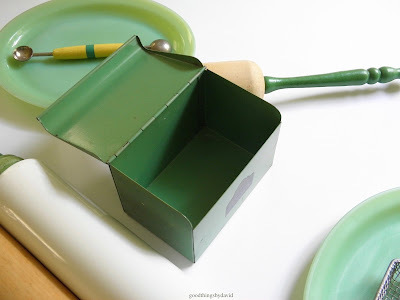 It is still the perfect vessel in which to organize and keep one's recipes. 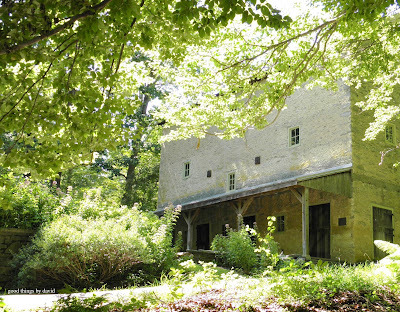 The outside may have a lot of wear and tear (perfect in my eyes), but the inside is very well preserved. It is going to look so nice next to my large spice rack or on my countertop. By the way, the vintage clear pressed glass cake stand may or may not be from that era. I've asked individuals about its origins, but no one seems to know. It measures 10-1/2" in diameter by 7-1/2" high. 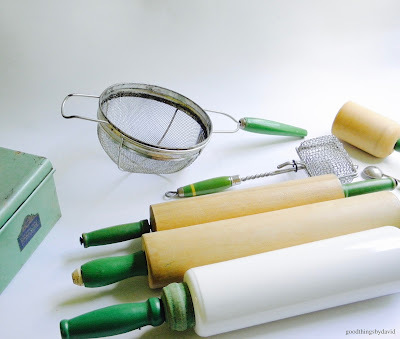 These three rolling pins were difficult to pass up. My only mistake was carrying them with me on the flight back home, because they were almost confiscated at the airport! Next time I will ship items like these through the mail. 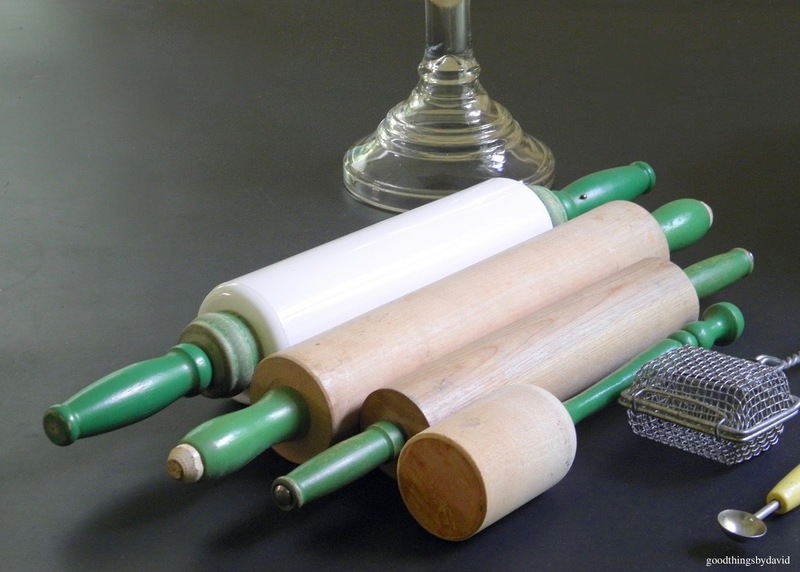 I'm not exactly sure who manufactured the wooden rolling pins, but the milk glass rolling pin is easier to identify. 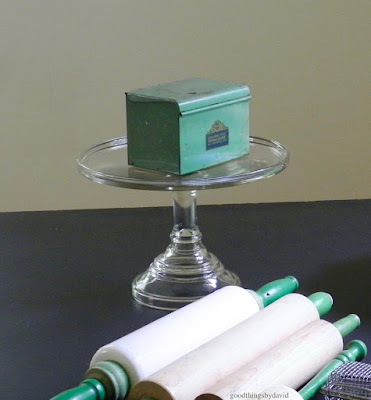 If you look closely, the milk glass rolling pin with its green wooden handles was made by the Imperial Glass Company back in the 30s. One side of the rolling pin is embossed with, 'Imperial Mfg. Co. Cambridge, Ohio, U.S.A., Patented'. The embossing goes all the way around the side. 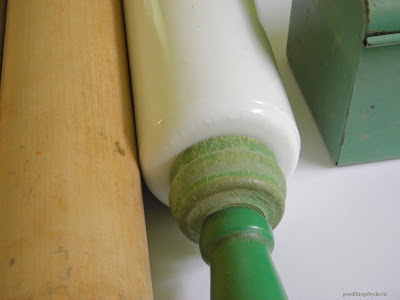 The other side of the rolling pin is smooth. 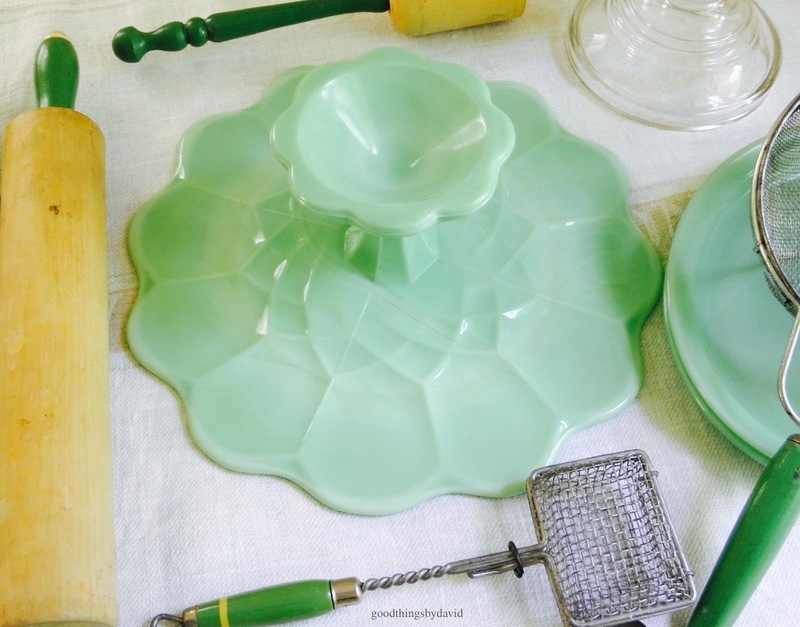 This particular jadeite scalloped cake stand is not antique. It is a vintage piece of L.E. Smith Glass made for the Martha by Mail catalog. 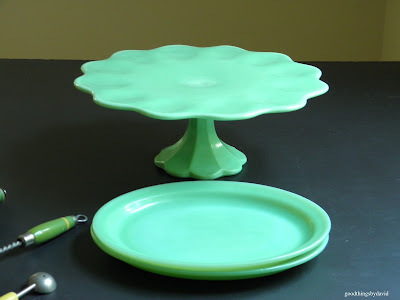 I've shown this cake stand before on numerous occasions here on the blog, so when I saw one for sale at the Long Beach Antique Mall II, I wasted no time in acquiring a second one for my kitchen. 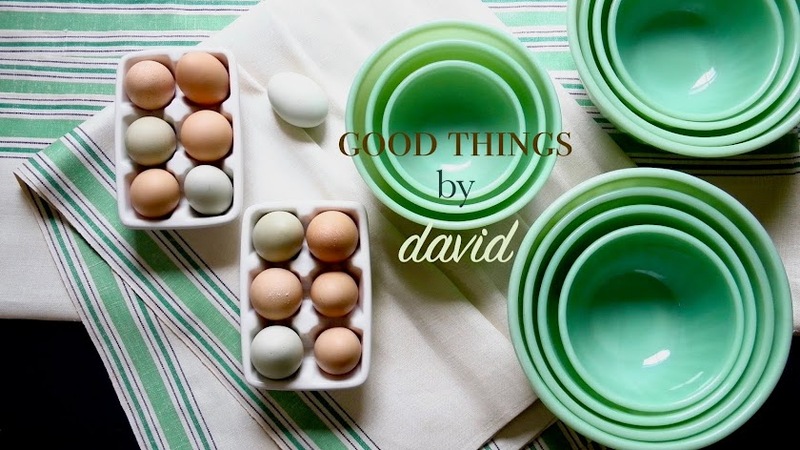 It is ideal for serving large cakes, but it is also great to use for presenting cookies on a dessert table. As you can see, the underside of this pedestal cake stand is remarkably intricate and beautiful. The outer edges of the scallops on the cake stand have a pronounced difference in color from the rest of the body. It's something one sees more often in slag glass. 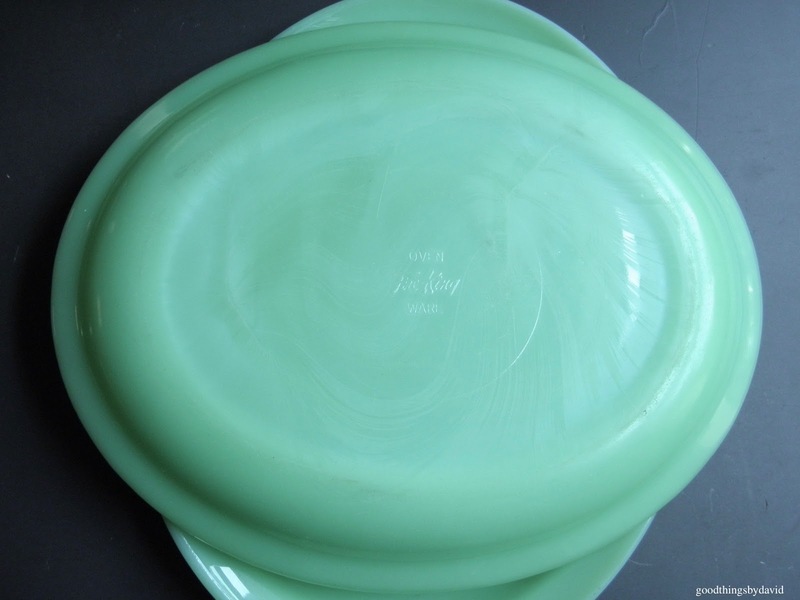 These Fire King jadeite platters are sometimes known as 'football' platters. They were made in two sizes by Fire King. The two platters that I purchased measure approximately 9-3/4" long by 7-1/2" wide. It think these are ideal to use as dinner plates! 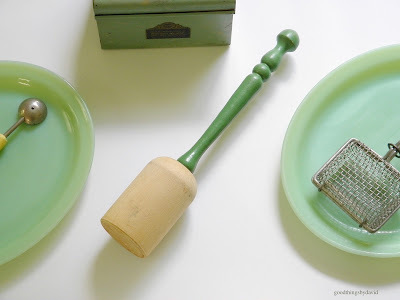 Everyone can use a little green in their lives, and if you happen to like collecting green-colored vintage items and antiques, keep your eyes opened for Depression-era kitchen utensils like these. They can be found at most antique stores, flea markets and online. They're not terribly expensive (with the exception of the Imperial Glass rolling pin). 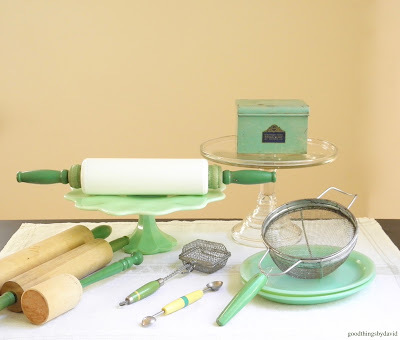 Spruce up your kitchen with items from a bygone era and display them or use them as they were meant to be. You may even end up starting a new collection.